I always enjoy supporting a beer from my hometown especially when its made by a brewery as talented as Smuttynose. While the beautiful state of New Hampshire isn't known for great beer Smuttynose is one of the top rated craft beers out there. 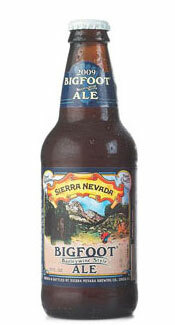 Appearance: This beer poured a deep straw yellow with a hazy complexion. There wasnt much head, maybe one finger and settled pretty quickly leaving ok lacing. Smell: The smell is light and enticing. It’s clean and yeasty with some citrus and alcohol esters. Enough malt is present to make this a sweet smelling beer. Initial Taste: What a nice beer. Flavors of grain, bready yeast and fruit are the first to hit your tongue. A nice clean citrus follows the bready yeasts cleaning the palate for the sweet malts. Some spices are present but are so soft they blend into the other flavors. What a wonderfully balanced beer. Flavors are clear and flavorful. Thoughts: I always enjoy supporting a beer from my hometown especially when its made by a brewery as talented as Smuttynose. 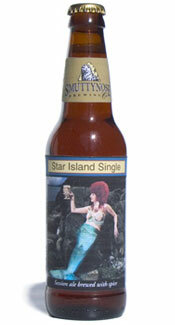 While New Hampshire isnt known for great beer Smuttynose is one of the top rated craft beers out there. These guys continue to make incredibly tasty beers and Star Island Single is no slouch. This beer is a great balance of flavor and drinkability. It has just enough flavor and sweetness to keep your tongue happy but finishes dry and crisp to leave you wanting more. While this isn’t the greatest representation of the style (Belgian Pale Ale) I recommend this as a session beer. Nice post. I know this is one of their newer beers and I’ve been meaning to try it. I often forget about Smuttynose and I shouldn’t. I just had one of their Shoals Pale Ale and it was a really nice beer! Thanks. Yeah it’s easy to overlook these guys. They don’t seem to get much press and it’s a shame. They really do make some fantastic craft beer…especially their seasonals…pumpkin beer, yum.